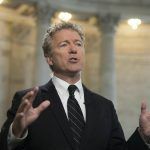 Sen. Rand Paul (R-KY) had a scathing response to a resolution by Senate Majority Leader Mitch McConnell (R-KY) rebuking President Donald Trump’s efforts to withdraw U.S. military presence from Syria and Afghanistan. 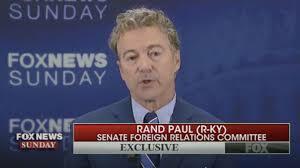 “The United States faces continuing threats from terrorist groups operating in Syria and Afghanistan and … the precipitous withdrawal of United States forces from either country could put at risk hard-won gains and United States national security,” the McConnell resolution states. 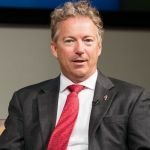 Rand Paul clapped back in an interview with Bill Hemmer on Fox News, making clear that he is more in agreement with the President than his senior Senator from Kentucky. The resolution passed by a 68-23 margin on Thursday. 46 Republicans and 22 Democrats voted in favor, while 3 Republicans and 20 Democrats voted against. The Republicans voting against were Sens. John Kennedy (R-LA), Ted Cruz (R-TX), and Mike Lee (R-UT). Also voting against were current and potential Democrat presidential contenders Sens. Bernie Sanders (I-VT), Elizabeth Warren (D-MA), Kirsten Gilibrand (D-NY), Kamala Harris (D-CA), Amy Klobuchar (D-MN), and Cory Booker (D-NJ). 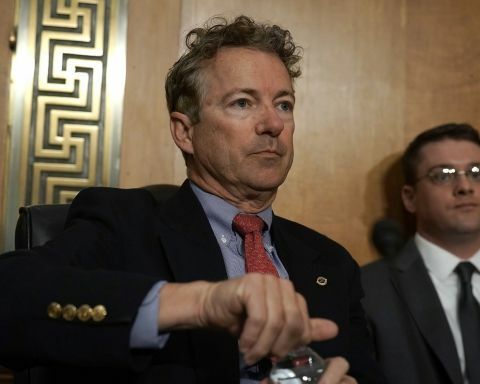 Paul himself was not present for the vote due to a judicial hearing on the same day regarding his civil litigation against his assailant Rene Boucher.